For 'L" we are headed back to the Atlantic coast. 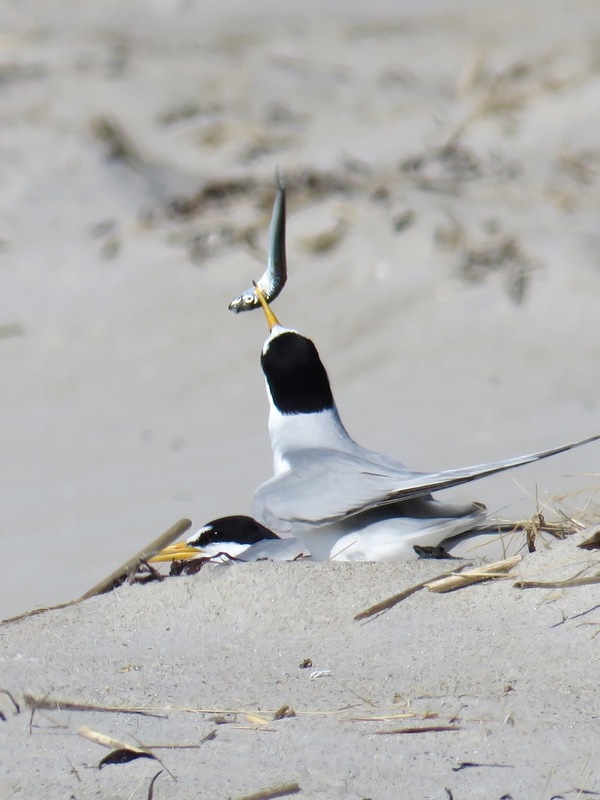 L is for least tern. 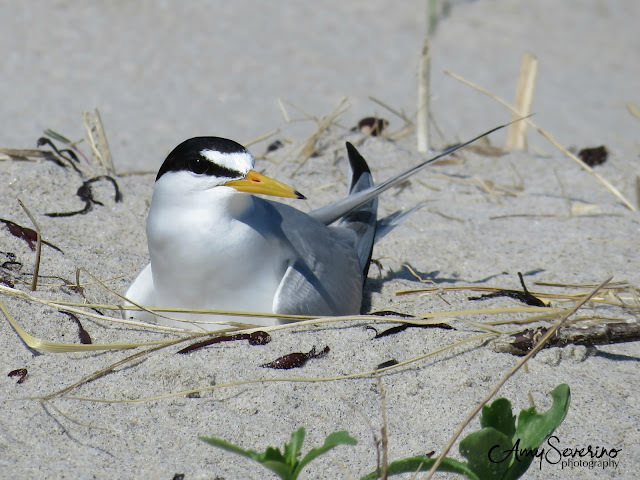 The least tern is a shore bird native to central america, but it travels as far as the southern Maine coast to breed. 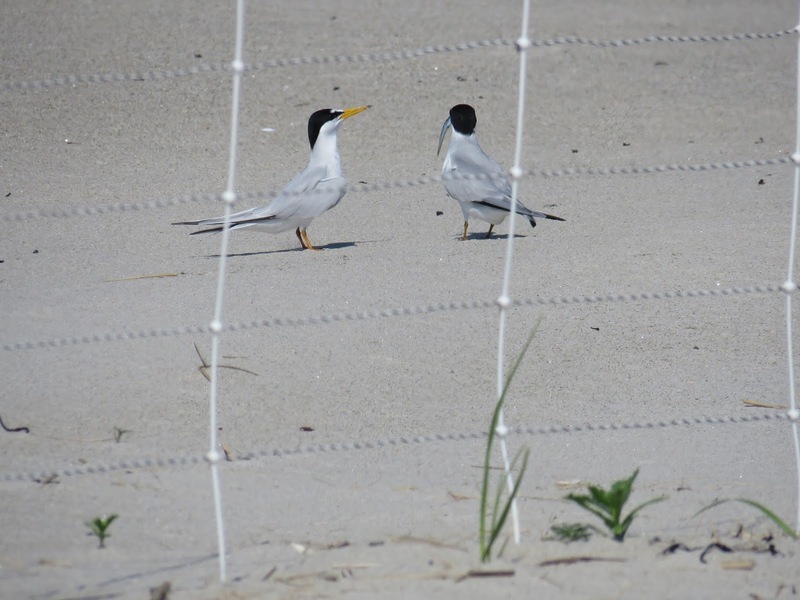 Many least terns breed right here on the Massachusetts coast. While I've probably seen many least terns, I didn't pay much attention to them, because I usually head to the shore in June to check out the ecologically threatened piping plover and their chicks. 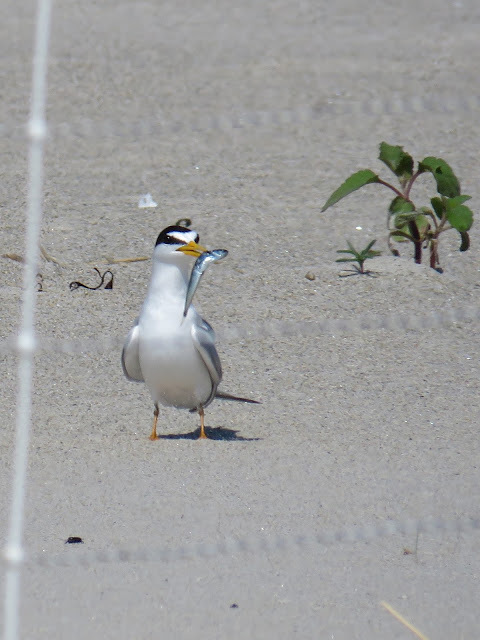 Last year, while in pursuit of plover chicks, I had a chance to observe the least terns a little more and they were really a lot of fun to watch! Thanks for stopping by for the letter "L", please stop by to see what is in store for the letter "M". For the beaded earrings portion of today's post, I bring you a pair of earrings made with imitation cinnabar. In spite of their faux status, I still think these are very pretty! As a reminder, all commenters will be entered in a drawing for seven pairs of earrings. P.S. Bonus mention of the piping plover, deserves a mention of this incredibly adorable short film about a plover chick. If you have 6 minutes, I highly recommend checking it out, it will make you smile. Your dining action shots of the tern are fantastic! You are the best at those action shots! The BirdMan just sat with me and enjoyed your photos for your posts to date with the A-Z and we both thought the film was adorable! Nice earrings ~ faux or not, they are beautiful. That Piper cartoon is sooooo sweet!!!! Love your pics too...great captures! I have seen that little film before...so cute! I wonder if it was up for an Oscar?? 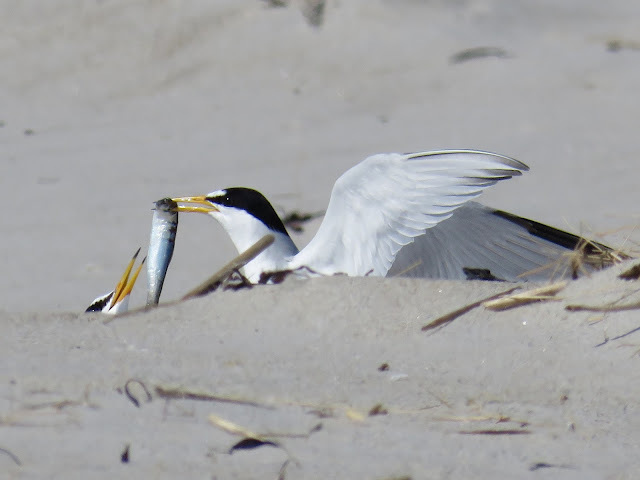 I never heard of the Least Tern but I learned something new! I love that picture of the teen with the fish in his mouth...that first one is great! Your earrings are very elegant...reminds me of the 20’s and Asian In feel.